As judges and celebrity couple contestants are busy shooting for the second episode of Nach Baliye season 8, we got a glimpse of all the fun, drama and excitement that goes on while shooting the popular reality dance show. Celebrity judge Sonakshi Sinha looked absolutely stunning in a dazzling bejeweled full length dress with a see-through upper half. The Noor actress tied her hair into a neat pony tail with center parted hair and completed the look with crystal earrings. 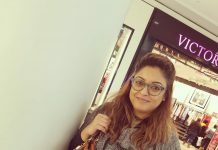 The entire look took us back to the era of glamorous 90s Hollywood actresses! 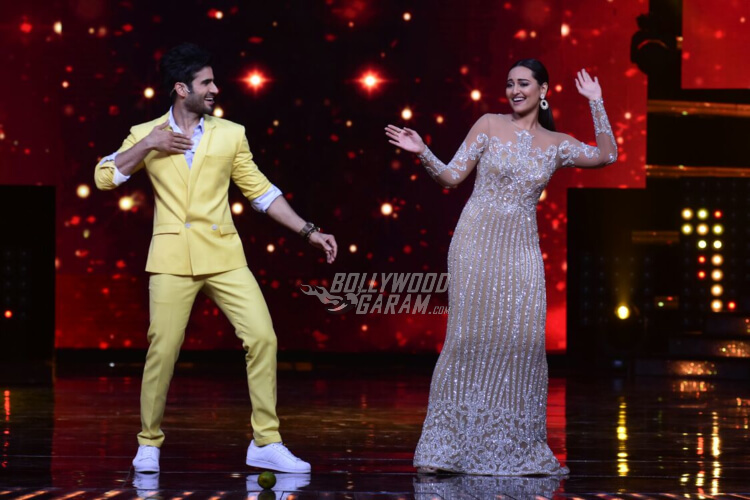 Sonakshi was even seen shaking a leg with show host Karan Tacker and the two seemed to completely enjoy themselves. 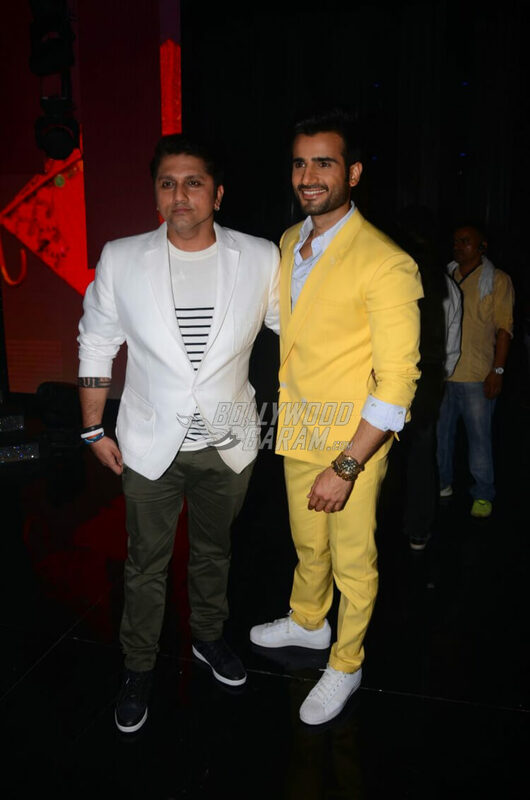 Host Karan chose to go all yellow with a suit, paired with a white Shirt and sneakers. Other celebrity couples spotted on sets of Nach Baliye 8 include, Siddharth and Trupti Jadhav, Utkarsha and Manoj, Monalisa and Vikrant. Judge Mohit Suri too was seen at the shoot, however, Terence Lewis seemed to be missing. Nach Baliye 8 Episode 2 will air on Star Plus on Saturday, April 8, 2017 at 8 pm. Don’t miss out!